When it was first introduced, the Nike Air Foamposite One was received with anything but open arms (and wallets). An unconventional design and a ludicrous price tag made this unique sneaker questionable at first. Penny rocked it, Wale rapped about them, and the rest is history. 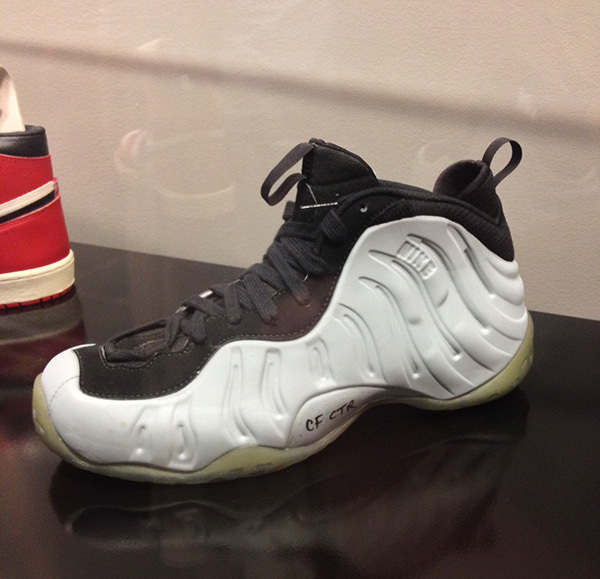 An original prototype of the iconic Foamposite One was recently spotted on Nike’s World Headquarters in Beaverton, Oregon. Some minor changes that were ultimately made to this original mold were the shape of the toe box, the alteration of the Nike name tag into the forefoot Swoosh, and the uncovering of the carbon fiber on the midsole. Even with the design changes on this prototype, do you like this colorway on the wavy Foamposite One? Let us know if Nike got it right by changing this first look into the released model in the comment section below.